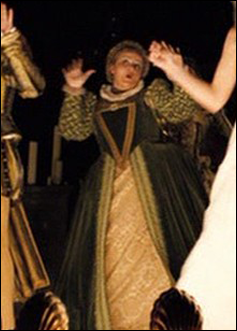 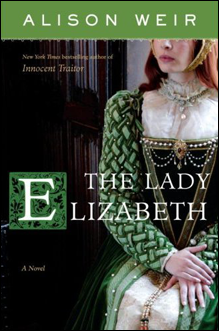 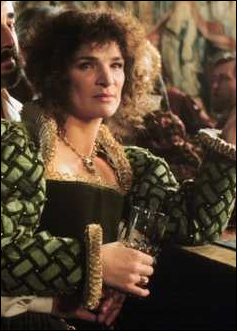 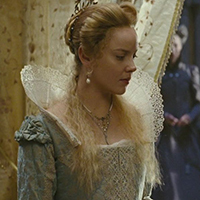 This dress, designed by Sandy Powell, whose work on Shakespeare in Love won her an Oscar for best costume design, interestingly enough, has not only been reused for another film (and in a modern setting, no less) it was also used a third time for the cover of Alison Weir's novel entitled The Lady Elizabeth. 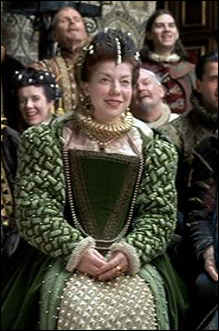 The great thing about seeing it on the cover of a book, is that it allows us to see all of the intricate detailing that went into making it -such delicate detail for a gown used on an extra that is only seen for a short moment in Shakespeare in Love! 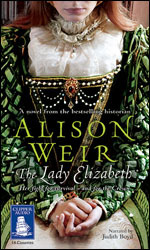 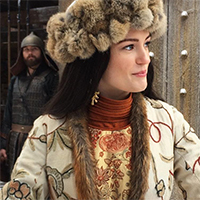 You can see even more up close and detailed shots of this beautiful gown on the large print and audio versions of the book!